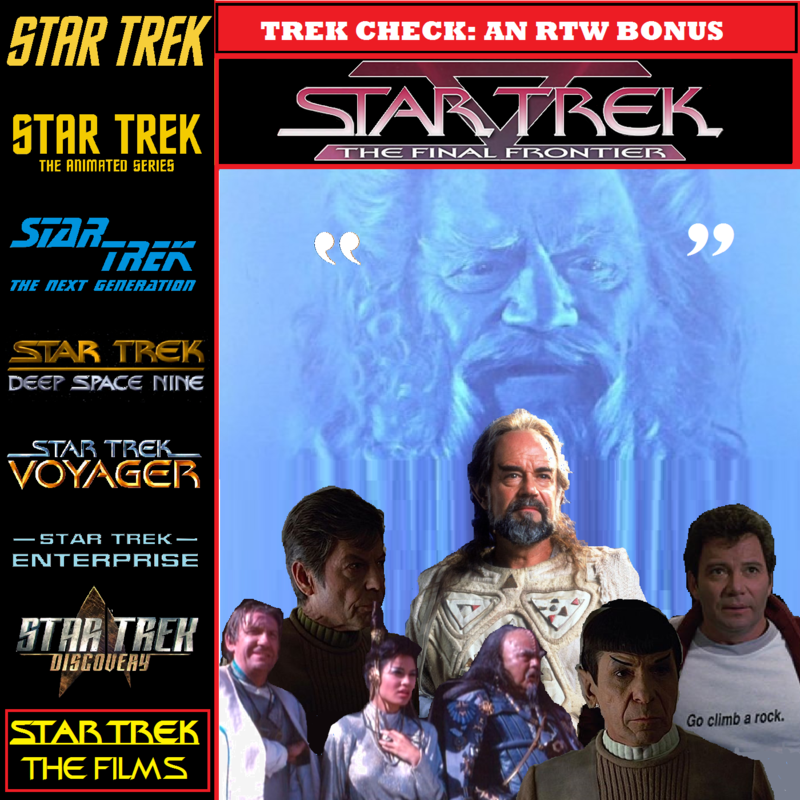 Just in time for your weekend, it’s a special Reopening the Wormhole Trek Check Bonus Bonanza!! For “god” knows what reason, the boys have decided to talk about one of the biggest turds of the Star Trek film series, 1989’s Star Trek V: The Final Frontier! The gang dishes on what makes this film fail for them and the behind the scenes malarkey that photon torpedoed poor William Shatner’s vision, while making some unflattering comparisons to The Phantom Menace. But we’re also determined to find the good in this movie as well, and highlight what DOES work for us. Hint: It starts with an “s” and ends with an “ybok”. So grab some marsh melons, set aside a lazy afternoon and row, row, row your boat out to FUN!